My dream has come true ! Shasta is reissuing their iconic 1961 Airflyte! 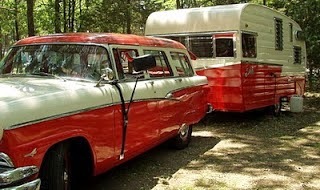 One of my favorite all time travel trailers. The reissue was designed in honor of the company’s 75th anniversary and will meet all current building codes while mantaining the vintage appeal right down to the log cabin siding and jalousie windows. Read all the wonderful news below and then eliminate objection #3 – “I don’t have anyone in my life to help me fix up a trailer! 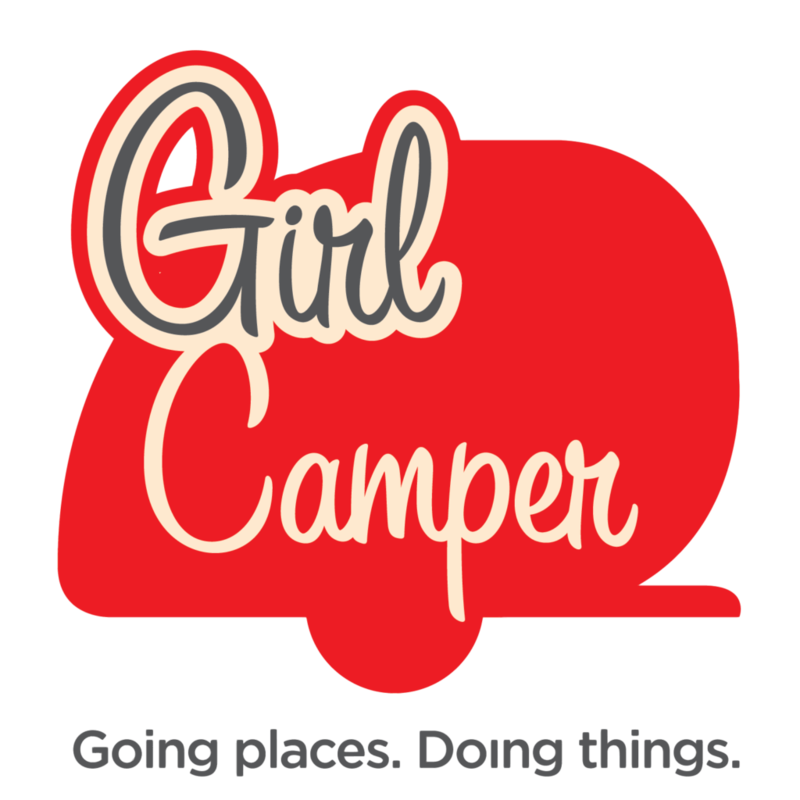 So many women tell me at RV shows and Fairs that they love the trailers that girl campers have but they don’t have anyone to help them with a trailer. I say the same thing each time. Buy new! 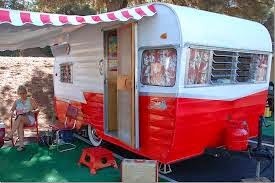 Don’t let the fact that you are not handy or don’t have someone willing to restore a vintage trailer for you, stop you from becoming a girl camper. I can guarantee you that the women on camping trips in tents, cabins and sharing with a friend are having just as much fun as those with restored and decked out trailers. It’s like saying you won’t go to a concert unless you have a front row seat or you won’t go on a tropical island vacation unless you can fly there first class. With this reissue you don’t have to sacrifice anything!! You have all the beauty of the originals with the added benefit of a bath and shower, air conditioning and heat, flat screen TV, bigger bed and the beauty of the birchwood interior! This is a no-brainer. 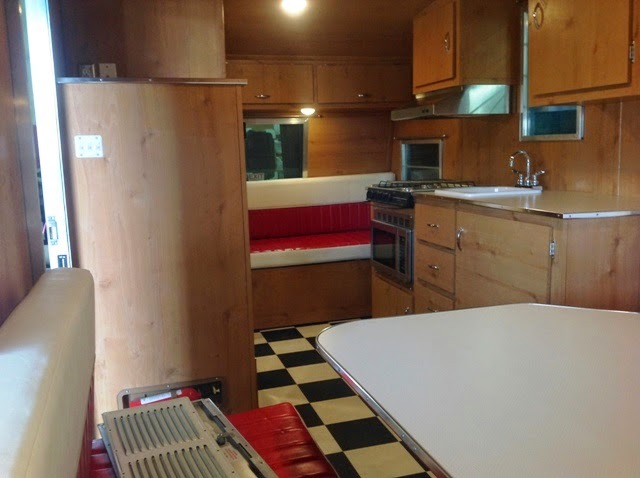 I think too many would be girl campers get caught up in the idea of their own private sanctuary and don’t realize the work involved in restoring a vintage trailer. There are safety concerns with axels and tires and rotted wood and old wiring that must be addressed before you get to the fun part of putting your design stamp on it. With a new trailer you get to skip all of that and get right to the part we all long for; making up that beautiful bed with the chenille bedspread you’ve been saving and installing all your vintage collectibles in the cabinets! 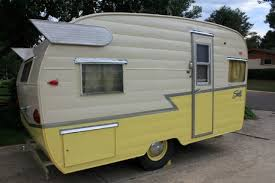 I have seen a few manufacturers make a vintage styled trailer with retro color scheme and paint job but they fall short once you get inside and see the ugly RV fabric and plasticized walls. The authentic interior of this reissue is what I think is finally going to get my husband to part with his 1960’s Frolic! Wish Shasta would re-issue the Shasta Compact, I'd be all over that!